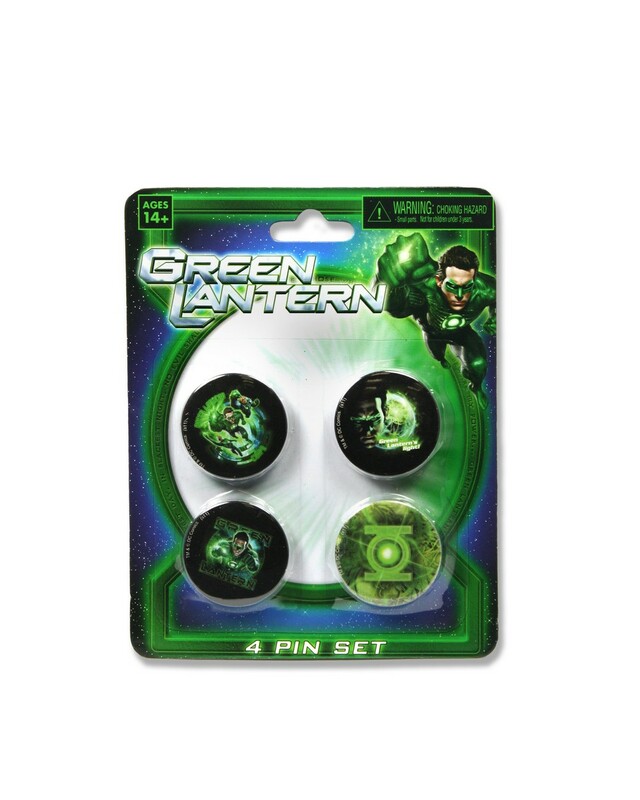 Celebrate your favorite characters from the Green Lantern movie! 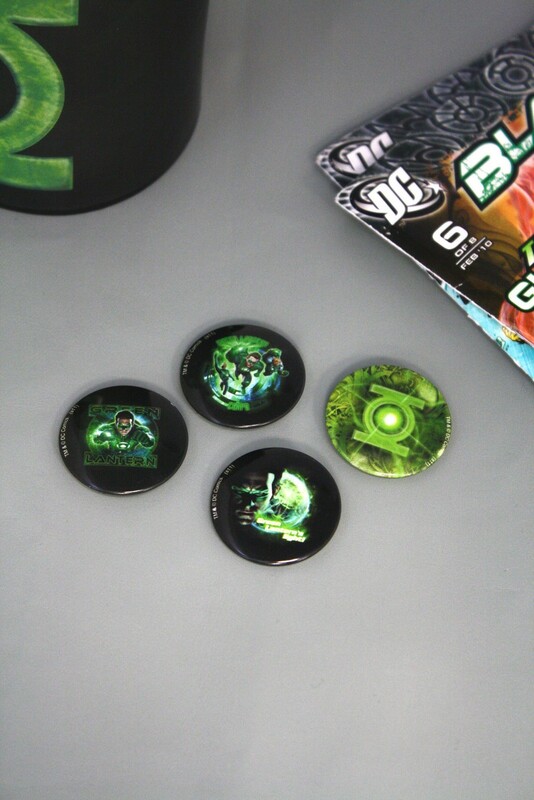 This pin set features movie art of Hal Jordan, the Green Lantern emblem, members of the Corp and more. There are 4 pins in the set — perfect for backpacks, jackets, anything! Pins measure 1.25″ across.